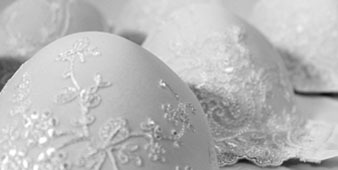 The world of the bride is unique, and just as unique is the universe which, each season, Ivette Bridal creates around her and her needs. In this spirit we want to join you in those unforgettable moments which make up part of your life. Let yourself be seduced by our collections which will enhance or downplay your figure under each dress and neckline. Be daring with our lingerie in its feminine and elegant forms which leave a door open to sensuality, eroticism and imagination. It’s an exclusive selection of the stylish Heritage collection that has been especially made for you. Its needlework, elegance, shape and, more especially, the thousands of crystals and resplandecent pearls will make you feel very honoured to wear such a unique jewel on your wedding day. We are passionate about the exclusive and the authentic. 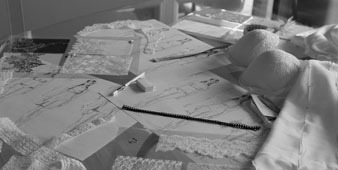 Our garments are created as works of art, where attention is given to the smallest details.